LEGO Juniors 10745 Florida 500 Final Race - Best Price! 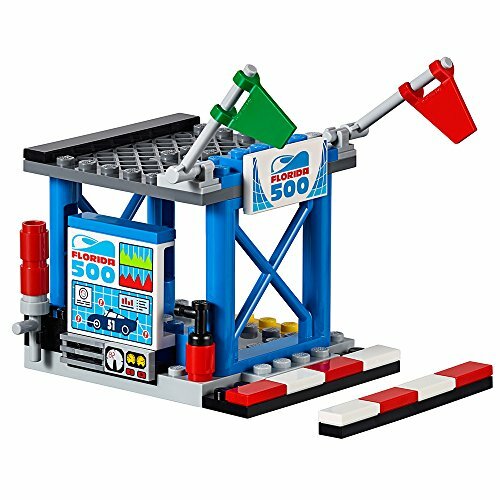 Home Toys & Games Building Toys LEGO Juniors 10745 Florida 500 Final Race – Best Price! Score a HOT deal on the LEGO Juniors set for your Cars fan! Hurry and get the LEGO Juniors 10745 Florida 500 Final Race (266 Piece) today for only $34.99 from Amazon! That’s the lowest it has ever been on Amazon! Start your engines and take part in the exciting Florida 500 Final Race from Disney Pixar Cars 3, featuring an Easy to Build crew chief’s stand with raising red and green race flags and Start/Finish line arch, trackside barriers and a winner’s podium with checkered flags and a trophy. Includes a simple guide to build and play, and bigger pieces help build confidence in younger kids. LEGO Juniors is an age-appropriate build and play experience for ages 4-7. Includes 5 LEGO Juniors characters. Buy the LEGO Juniors 10745 Florida 500 Final Race (266 Piece) from Amazon. Previous articleDot Journaling – The Set – Best Price!